According to the European Union’s most recent biodiversity assessment, many of its species are still threatened by human activities. To address biodiversity loss, the EU has adopted a series of legislation, which aim at protecting important habitats and species. In addition, as part of its most recent biodiversity strategy, the EU has set an ambitious conservation target, to halt biodiversity loss within the EU by the year 2020. While this is a laudable goal, paradoxically it may not be relevant to many of EU’s species. This is because EU’s conservation efforts are taxonomically biased, focusing mostly on the species listed in its legislation—mainly the annexes of the Birds and Habitats Directives. The annexes, though, over-represent vertebrates, especially birds. 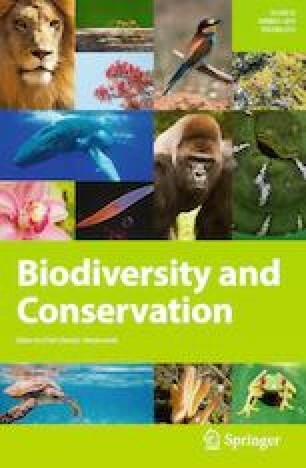 The taxonomic bias is also evident in the allocation of EU’s conservation budget through the LIFE Programme—its main conservation funding instrument. Since the inception of the programme in 1992, the EU has funded more than 800 projects that targeted species. Half of those projects focused on birds while, for instance, only 7% of them targeted invertebrates or plants. This, despite the fact that according to the European Red Lists there are more endangered invertebrates and plants within the EU than birds or mammals. The apparent taxonomic biases raise concerns regarding the conservation fate of the species belonging to taxonomically neglected groups, many of which are threatened. It is unlikely that the EU will succeed in truly halting the loss of its biodiversity if these taxonomic biases are not addressed. I would like to thank the researchers who have compiled the data used in this study and the European Commission for making the information freely available. I would also like to thank the two anonymous reviewers for their useful suggestions and constructive feedback.